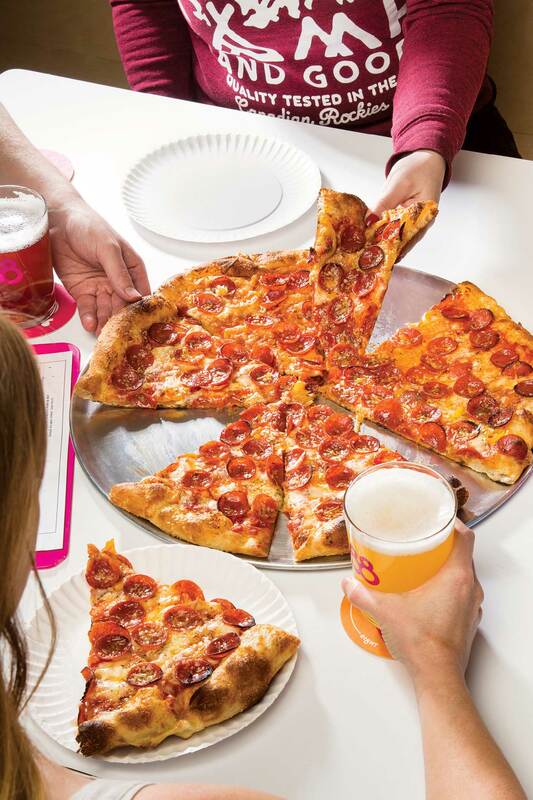 Located within Eighty-Eight Brewing Co., Noble Pie Pizza is Calgary’s most authentic New York-style pizza operation. Mike Lange has no problem being called a pizza nerd. 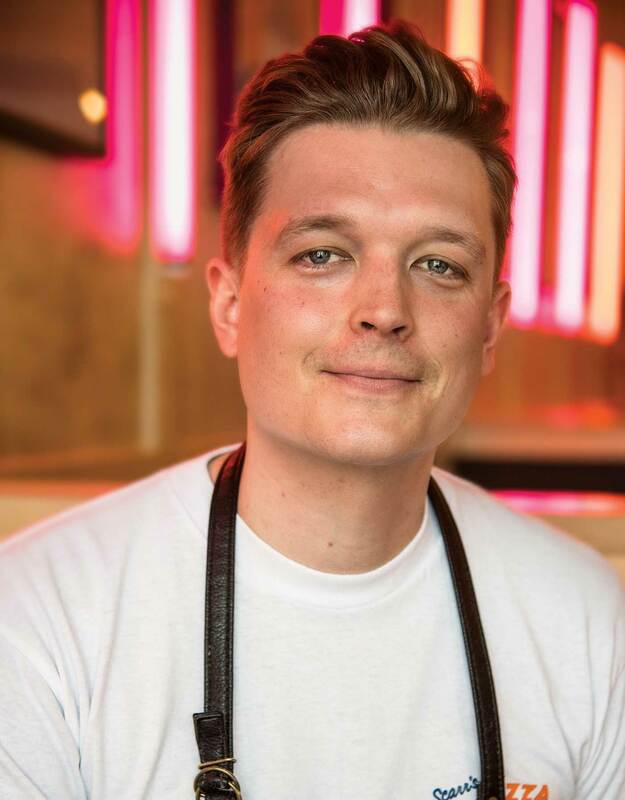 The self-taught chef behind Calgary’s most authentic New York-style pizza operation, Noble Pie, has earned that title through years of workshopping recipes at home, time spent in the kitchen of Posto Pizzeria & Bar and routine research trips to the Big Apple. 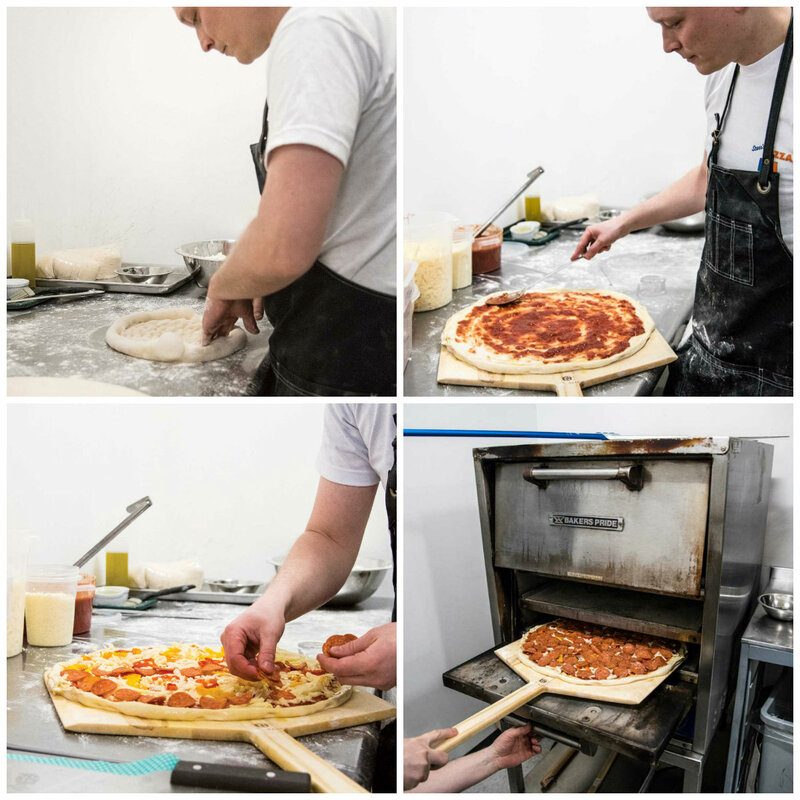 In particular, he took inspiration from Di Fara NY proprietor Domenico “Dom” De Marco — not just the man’s pizzas, but also his work ethic and commitment to quality control. Like De Marco, Lange is the only one authorized to prepare and bake his pies, though he says his partner Leslie Lamont is an integral part of Noble Pie, participating in research and taste-tests, and playing a supporting role during service at their two-day-a-week pop-up within Eighty-Eight Brewing Co.
New York pizza has too many traditions to name in detail, but the three most important elements are that the pies be thin, around 18 inches in diameter and easily foldable for consumption. Lange checks all of these boxes and boasts a pepperoni pedigree that would make even a die-hard Knicks fan blush. He badgered the importer of Ezzo pepperoni (served at NYC institutions and loved because the little slices curl up to contain the grease) over the course of two years until the company relented and began servicing Western Canada. Noble Pie chef and founder Mike Lange making pizza. Photographs by Jared Sych. The glorious result of his tenacity — the roni pizza — has crispy-curly pepperoni covering just about every inch of its surface. This pie also has a modest quantity of banana peppers and oregano, with a cheesy foundation of aged mozzarella, grana padano and pecorino Romano. Noble Pie’s other signature creation is the sweet cheesus pizza, made with all the aforementioned cheeses, plus fresh mozza, caciocavallo and oregano. Most importantly, it’s finished with a drizzle of Brooklyn-based Mike’s Hot Honey (no relation to Lange), pushing the New York connection even further. Lange plans to transition (this month) to a full-time operation within Eighty-Eight. With that growth will come more pizza options. Until then, enjoy his signatures and rotating specials on Friday and Saturday evenings. Noble Pie chef and founder Mike Lange. Photograph by Jared Sych.